- Originally signed as a rookie free agent by the Kansas City Chiefs on June 5, 2012…Released by Kansas City on May 2, 2013…Signed by the Dallas Cowboys on July 21, 2013…Released by Dallas on Aug. 31, 2013 and signed to the team’s practice squad a day later…Signed to the Cleveland Browns’ active roster on Nov. 26, 2013…Released by Cleveland on May 12, 2014…Signed by the Tampa Bay Buccaneers on May 21, 2014…Released by Tampa Bay on Aug. 25, 2014…Signed to the Tennessee Titans’ practice squad on Dec. 16, 2014…Signed to Tennessee’s roster on Dec. 29, 2014…Released by Tennessee on Sept. 5, 2015…Signed to the Buffalo Bills’ practice squad on Sept. 8, 2015, and released the following day…Signed to the Indianapolis Colts’ practice squad on Sept. 29, 2015…Released by Indianapolis on Oct. 20, 2015…Re-signed to Indianapolis’ practice squad on Nov. 10, 2015…Signed to Tennessee’s active roster on Dec. 22, 2015…Released by Tennessee on Sept. 12, 2016, and reigned to the practice squad 2 days later…Signed to Tennessee’s active roster on Dec. 27, 2016…Released on April 30, 2018…Signed as a free agent by the Giants on May 2, 2018. - Tanney has played in 1 NFL regular-season game.  On Jan. 3, 2016 – the 2015 season finale – he completed 10 of 14 passes for 99 yards and 1 touchdown in Tennessee’s loss at Indianapolis…Entered the game as a reserve in the 3rd quarter after Zach Mettenberger left the contest with an injury. - In 2017, he spent the season on the Titans’ injured reserve list after breaking his left foot in the preseason finale. - Played in 47 games at Monmouth College (Ill.) from 2007-11, when he set NCAA Division III career records with 14,249 passing yards and 157 touchdown passes…Selected as the Midwest Conference Offensive Player of the Year 3 times (2008-09, 2011)…As a senior in 2011, Tanney threw for a career-high 3,867 yards and 38 touchdowns…In 2010, redshirted after suffering an injury prior to the start of the season…In his junior season in 2009, was named the Melberger Award winner as Division III’s best player after throwing for 3,856 yards and 44 touchdowns…As a sophomore, set a school record with 50 touchdown passes and threw for 3,848 yards…As a freshman in 2007, played in 10 games, completing 242 of 376 passes for 2,678 yards and 24 touchdowns…Threw only 5 interceptions. - Married (Rebecca)…Graduated from Monmouth with a degree in business administration and economics…Started at shooting guard as a freshman and sophomore at Monmouth…He stopped playing basketball to focus on his football career…Attended Lexington (Ill.) High School, where he was selected first-team all-state as a junior and senior…Named all-state in basketball, and was a 2-time state track medalist…A distance runner, he ran a 4:20 mile…Tanney posted a Trick Shot Quarterback video on YouTube that went viral in 2011 when he was at Monmouth. The video has been viewed more than 4 million times and features Tanney making incredible throws in a variety of off-the-field situations…Tanney’s 2 older brothers are in the sports industry. Matt is the Athletics Director at Western Illinois University, and Mitch is the Director of Analytics for the Denver Broncos.